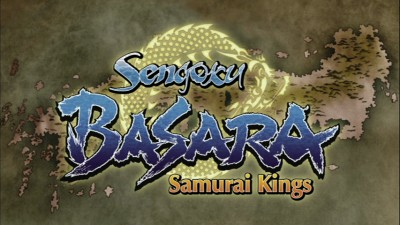 Sengoku Basara is an anime adaptation of a video game. If that instantly brings to mind a series that focuses more on creating "intense" action sequences over telling an absorbing story then that's probably because this is the general indication of what it means to bring video game characters into some other artistic form. Most viewers aren't going to tune in expecting mind-boggling poetry or anything of the sort. At least... I hope not. Saying that the show isn't good because it's based on a video-game isn't entirely accurate (if one watches Final Fantasy: The Spirits Within one will know brilliant filmmaking can be achieved in correlation to a game franchise) but it's not significantly far from the baseline idea that most video games don't make great movies. Apparently stellar TV series also fits the description. There are exceptions, of course, but this particular series doesn't make a short list. It's got more ambition and technical artistry than other efforts but this doesn't change the fact that it's ultimately a run-of-the-mill action show without great intentions beyond entertaining fans of samurai sequences. Sounds good? Why not experience this series and see if it seems enjoyable. Sounds aggravating? Consider skipping out on this series altogether. The basic setup is that there are opposing samurai-warriors on different sidelines of war. Each group is attempting to overthrow the other. Many are fighting for peace. Some are merely fighting to fight. The end-result is still utter chaos in a war-zone filled with many casualties. Things begin to shift somewhat when it becomes clear that the groups must bridge their differences and learn to work together in order to defeat an enemy that is increasingly dangerous to everyone on all the sides of battles. Loyalties are formed or companionships are tested. The samurai warriors and their aiding allies are put to the serious, and somewhat existential, test of understanding their ways as being samurai. The best thing about this show is the overall production value. It looks incredible. The animation is wonderful to behold. While the backgrounds are not perfectly developed, there's so much great texture to the bold colors and interesting designs that this isn't necessarily a huge detriment. The show's heavily stylized and it will appeal to anyone hoping to experience a colorful animated epic. The big issue with the show is that it's definitely representing more style over substance despite dealing with historical issues. 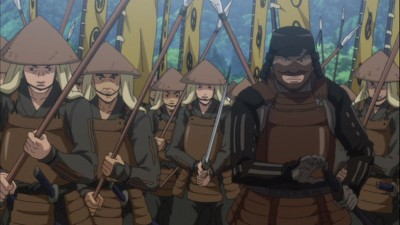 There's no question that this show doesn't aim to enlighten about the characters in the series (despite the fact that I have heard about the series highlighting famous samurai). Maybe this won't aggravate everyone but it was certainly unfortunate for this viewer. It demonstrates how the show was always more concerned with flashiness than with depth. Yes, I just oversimplified the entirety of this series, but the basic point is that the show is simple. It wasn't complex. The show is probably complex to make (it does feature great animation) but that doesn't make it a serious storytelling effort. Keep this in mind if you seem convinced that you "absolutely-must" check out the show. Remember this: It isn't complex. Viewers who can enjoy this show will because they remember that it is simply a show with a lot of samurai action to offer up. The historical aspects are icing on the cake, but not the kind of icing that tastes very good. 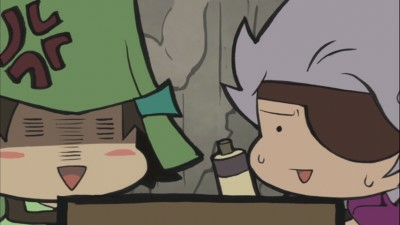 Sengoku Basara was occasionally interesting in segments but it ended up feeling mostly average and/or mediocre. The series had a solid premise that was not entirely delivered upon. 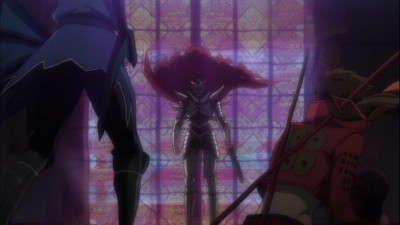 Sengoku Basara is presented in the original broadcast aspect ratio of 1.78.1 widescreen, and with native 1080p High Definition picture quality that is well-reproduced utilizing the great possibilities presented by using the Blu-ray format. Oh, Snap! This is an incredible Blu-ray release on the technical side of things. The image quality left me feeling speechless even if the show did the exact same thing (but in such significant, different ways). The colors are outstanding. The detail and clarity impresses. This is undoubtedly one of the reasons the show works as well as it does for fans. It features a Grade A presentation from start to finish. 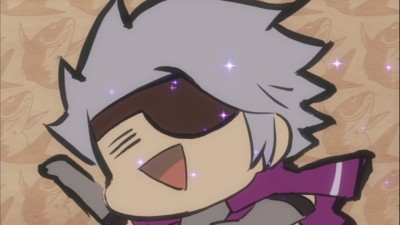 It doesn't even come close to disappointing and it will help the Sengoku Basara fans feel enthusiastically pleased. Funimation continues to offer two choices to viewers: the original language Japanese dub (with optional English subtitles) and a newly-recorded English language dub. Both choices are presented with lossless high definition audio using Dolby TrueHD encodings. For those who choose the English version there is a satisfactory 5.1 surround sound track (which is worth checking out for the added immersion). The Japanese track only includes 2.0 audio but it at least in the equally strong lossless format. The images in this review are taken from the DVD discs included in this Blu-ray/DVD Combo Pack. 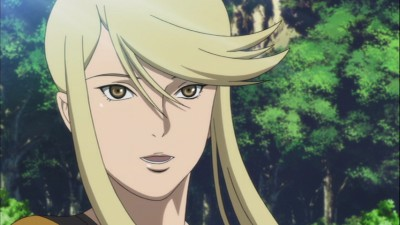 The main inclusion to the bonus features is seven short mini-episodes from the Sengoku Basara Cosokabe-kun and Mori-kun side series. These are comical, hilariously-animated, and great parodies of the two characters from the main show. It's not going to amaze anyone but the basic-premise is enjoyable (turning these "tough guy" characters into traditional anime "chibi style" characters). These short animated pieces remind me of ridiculous but strangely charming Cartoon Network series (ala Space Ghost: Coast to Coast). Funimation has also included text-less opening/ending songs, and trailers promoting other anime series released by the studio. Do you like the Capcom video game that inspired this anime series? Do you enjoy action-anime without needing a great story to accompany the action sequences? Then give this series a chance. Who knows: Maybe you'll consider this an awesome masterpiece (um...), but the rest of the readers out there (hello?) are encouraged to rent this before making a purchase decision. 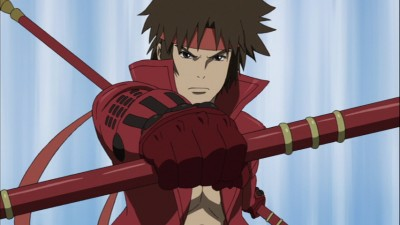 The technical quality of the animation is superb and the fight scenes in Sengoku Basara are well-done (if underwhelming, when you don't feel connected to these characters). 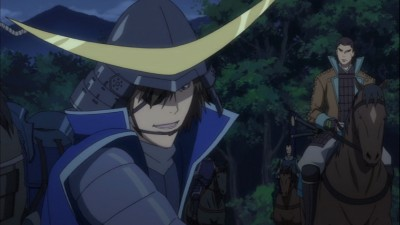 The best I will say about Sengoku Basara is that I don't see anyone wanting more from Funimation when the Blu-ray presentation is so stellar (as it is presented here).